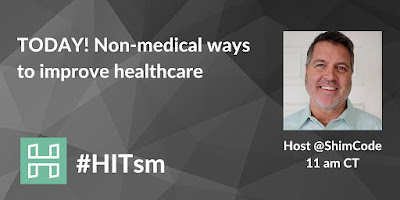 This past Friday, June 17, 2016, I hosted the weekly #HITsm tweetchat where the topic of Addressing Healthcare via Non-Medical, Community-Based Resources and Tools was discussed. The chat enjoyed a very good turnout with about 100 participants sharing over 750 tweets on six specific topics. 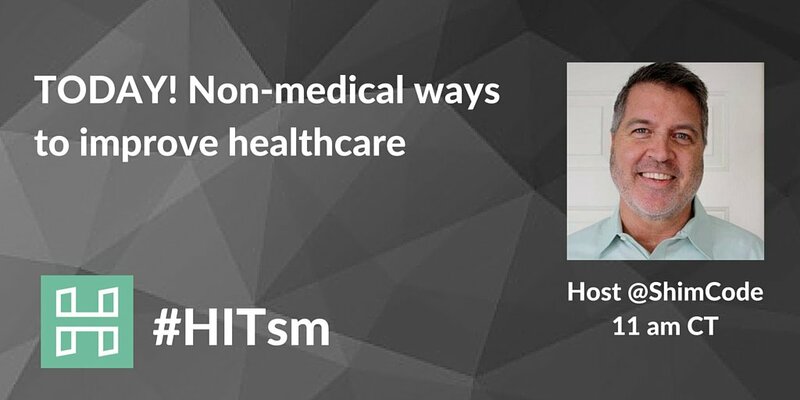 Special thanks to #HITsm hosts @HealthStandards and @HealthIsCool - and all those who participated. This post shares the discussion surrounding Topic #1. I’ll share what was discussed on the remaining five topics via additional posts over the next couple days. Let's Get This Chat Started! Some went to great lengths - and heights - to attend! @jwander14: HI #hitsm currently at 37,000' on DL 062 from SLC to ATL but typically near Boston! Happy Friday! Topic #1: How can individuals who may benefit from non-medical support services be identified? @shimcode: Workplaces, food banks, faith-based initiatives, enrollment events, schools would be good channels. @adamrichsearch: Having a connection to community health workers to pinpoint valuable information on patient non-medical needs. 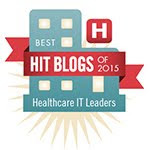 @glhc_hie: From the TOTALLY Self-Serving promotion department - Via Health Information Exchange! Great #HITsm minds think alike! @stuckonsw: Key is going beyond the "medical model" in assessments... Social supports, housing, fiscal, co-pays, job etc. @jwander14: And possibly evaluate upon admission as well. Much of success or failure depends on the support system at home. @mandibpro: Sure! But if part of standard intake process, unbiased, ALL patients complete. Or not. Their choice. @shimcode: CMS could include needs assessments as part of scope of work of its Quality Improvement Organizations. @ebukstel: There is an evaluation. The problem is focus on preventing another admission in 30 days, not health of pt. @ebukstel: Agree. The "evaluation" focused on smoking cessation / ability to climb steps, that's about it. @matt_r_fisher: How about mining data from general consumer oriented places. With analytics bet could identify from purchase habits. @ebukstel: Zip Code are most important determinant of health, How can HCPs integrate pt condition into care? @shereesepubhlth: What if we address social/emotional needs in same way we approach fall precautions? @matt_r_fisher: Yes, why not have function that examines EMR data and then applies to broader search. Then have targeted follow up. @matt_r_fisher: Just look at Gmail for example. It knows things about you before you do sometimes. @mandibpro: Can infer #SDoH factors from zip+4 geography (+4 CRITICAL), good for prediction, ~meh specific patient needs. @scottyweitzman: I one day hope that we can use new tools to drive down care costs. So we can get the care we need. @scottyweitzman: A mobile device can become a powerful tool in finding out data mapping out what/why people are missing ops to get help. @mandibpro: Who knows about 211? https://t.co/V3KvUBMKr0 ? Met founder @ #HIMSS16, AWESOME service. @shereesepubhlth: Great example. I think people forget about 211 because it’s not widely promoted. "Out of sight . . . Out of mind. 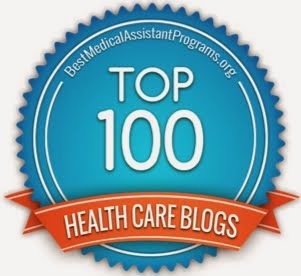 @mandibpro: Physicians diagnosticians. 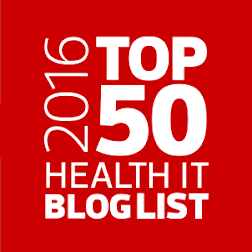 #Tech could help, if resources pertinent to patient could pop up in #EHR workflow. @cathysusk: But #socialmedia could replace a lot of phone contact right? @shereesepubhlth: SPE platforms allow users to leverage HIT and use to find all relative state support services in one place. 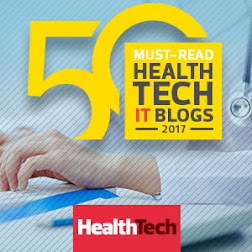 @shimcode: CMS can set policy (and pay!) to require providers serving Medicaid/Medicare patients to assess needs. @shimcode: Right! And 'temporary programs (limited funding and duration) are even harder to keep track of! @matt_r_fisher: IMO that investment will occur as more go into VBC and risk-based agreements. Will need touch points. @shimcode: CMS could define #SDOH assessment quality measures and provide reimbursement. @mandibpro: Tragic: Non-profits who put donation $ to services rather than advertising or C-pay have hard time w/ growth. @matt_r_fisher: Seems like it's just a matter of engaging people. Can find someone who could benefit anywhere. @adamrichsearch: Also, asking open-ended questions helps to elicit more than just medical info. Gives an idea of what the individual truly needs. @cathysusk: How can u help anyone that doesn't want help? @johnmtrader: Human interaction can be such an elusive beast in the digital age. Really takes effort now. @mandibpro: PEOPLE. Exactly. Human interaction. There are systematic ways to analyze interactions, but people best. @mandibpro: It does. We're raising a generation that won't know how to hold an in-person meeting or maintain eye contact. @mandibpro: Decline of nuclear family, let alone community ties and geographically diverse extended families, challenge. @shereesepubhlth: Sadly enough, those needing non-medical support don't always know where to look for it. We all have to be advocates. @glhc_hie: Integrated care models like the one we highlighted at #HIMSS16 are popping up all over the country! Real ACTION! Imagine THAT! @mandibpro: But who gathers this info and presents it in actionable way to those who could intervene? @mandibpro: Mental health CRITICAL to success of ANY value-based care program, yet woefully ignored. Kudos! @ebukstel: HCPs do a poor job in tracking medication compliance, especially when pt doesn't have $$ for meds. But Wait! There's More Coming! I'm currently curating tweets from the remaining five topics that were discussed in the tweetchat and will post those over the next day or two. 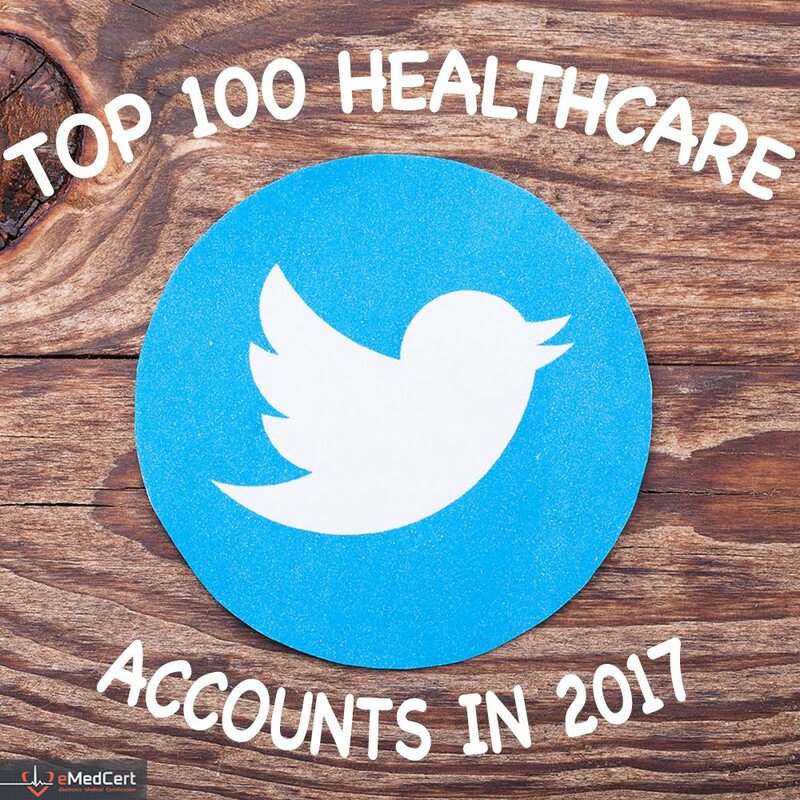 For more information on healthcare data, technology and services, consider following me on Twitter. 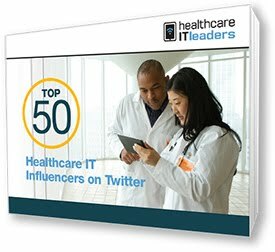 What’s in Your Healthcare Social Media Wallet?